Crossville’s Astral Plane Collection. Shown is Pavo. 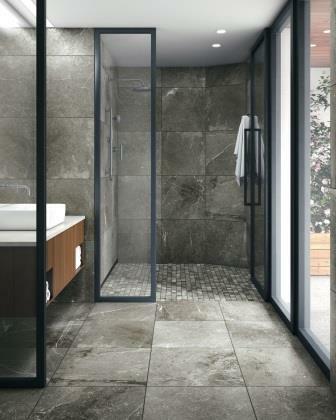 Crossville, Inc. has launched of Astral Plane porcelain tile collection. This unique, stone-look product offers unprecedented visual depth achieved through multidimensional graphics applied during the manufacturing process. 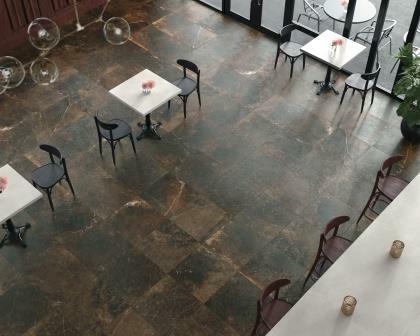 This domestically-produced line, inspired by elements of the natural worlds above and below us, is created to offer designers a versatile collection suited for a wide-range of commercial and residential applications. “Astral Plane’s multidimensional graphics create a deeply layered look that makes the neutral color palette burst with visual texture,” explains Lindsey Waldrep, Crossville VP of marketing. Waldrep also notes that Astral Plane supports biophilic design. Crossville’s Astral Plane Collection. Shown is the Magellan tile series. Astral Plane comes in three rectified field tile sizes—24”x24”, 12”x24”, and 6”x24”— ideal for mixing and matching in a variety of patterns. Two mosaic options, a 2”x2” and a random mosaic, invite creativity and versatility to complete any design. The covebase and bullnose trim allow for fully finished looks. As with all products produced at Crossville’s Tennessee manufacturing facilities, Astral Plane is responsibly made in the USA, contains a minimum of 4% pre-consumer recycled content, and is Green Squared certified. Astral Plane is recommended for a wide range of interior installations, as well as exterior vertical applications, in commercial and residential settings.